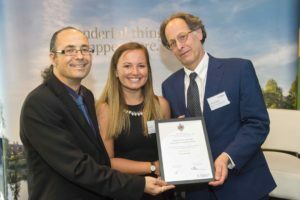 In a recent university wide celebration of professional training Dance was honoured for its strong relationship to industry through its professional placement program. 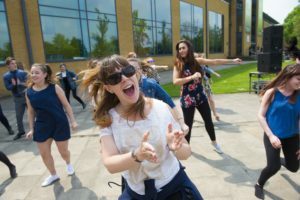 The day began with a flash mob, directed by our second year students, which got alot of people out in the sun and dancing! 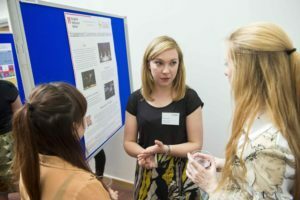 Nine Dance students presented posters on their placement year, highlighting their personal project and overall placement experience. Of them Amy Sharkey was awarded Dance Student of the Year for her work with Akram Khan Dance Company. 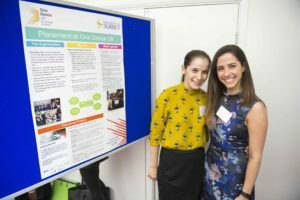 The evening also awarded students across disciplines for exceptional work on placement with a top award going to Zoe Harman for her work in social care. Students received cash prizes and certificates as part of their recognition. 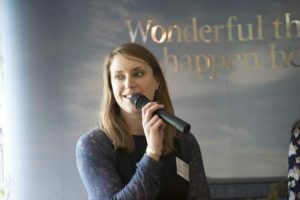 A special Employer of the Year Award went out to East London Dance for their long affiliation with The University of Surrey, for providing consistent placement experiences of depth and value, and for their leading edge work in promoting, developing and making dance accessible for both artists and communities. A guest panel of speakers spoke to the depth of work being done across the UK in community dance, advocacy for dance, dance and health research and support for artists. The panel was comprised of Polly Risbridger of East London Dance, Marianna Rocha of OneDance UK and Olive Kane of Greenwich Dance. The panel was well received, with colleagues and faculty across the university expressing excitement at the depth and breadth of ways dance has a part of our everyday lives. The ceremony was attended by the Provost and Vice Chancellor, the Mayor Elect of Guildford and the Dean of Arts and Social Sciences in addition to many of our industry partners. 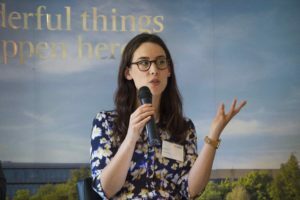 Twenty-four students in total represented each of the placement programs at The University of Surrey. 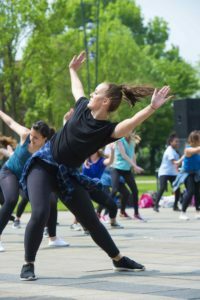 This year celebrated a special focus on Dance. Future years will focus on our other exceptional programs here at Surrey.